Now that I've completed my Myrtle Beach Travel Series, I can go back and cover some weekend trips we've taken. Our trip to the Milwaukee Domes occurred way back in April when we went there for Easter. 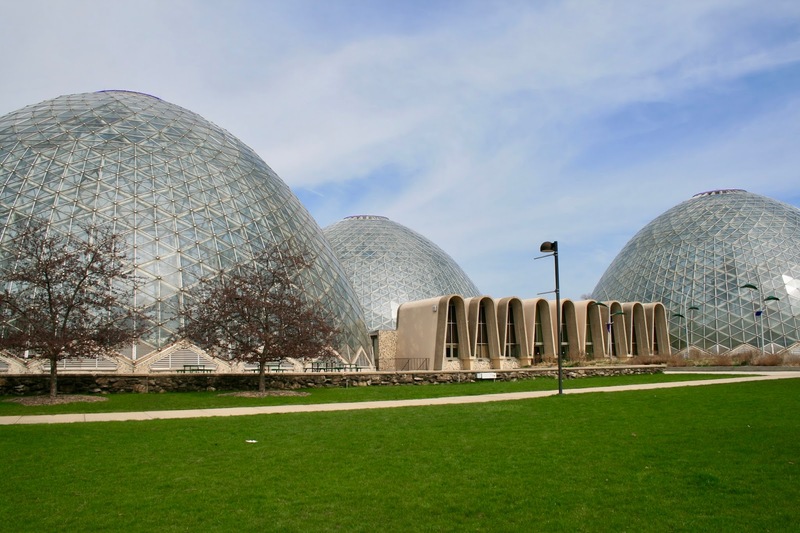 The Milwaukee Domes is an iconic city attraction. If you haven't already guessed by the unique architecture, the domes were constructed in the sixties. 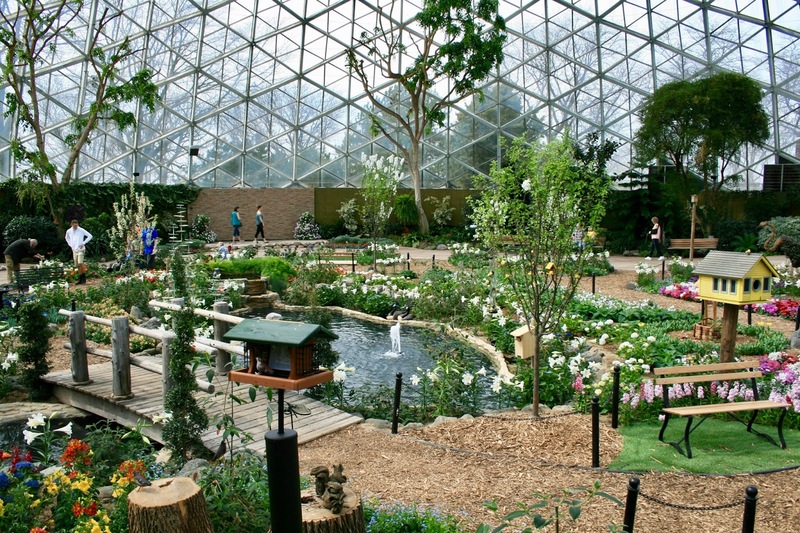 There are three domes, the Floral Showcase dome (my personal favorite) which changes with the seasons, the Desert Dome, and the Tropical Dome. Each bee-hive shaped dome is 140 feet in diameter and 85 feet high. The Floral Showcase Dome changes with the seasons. 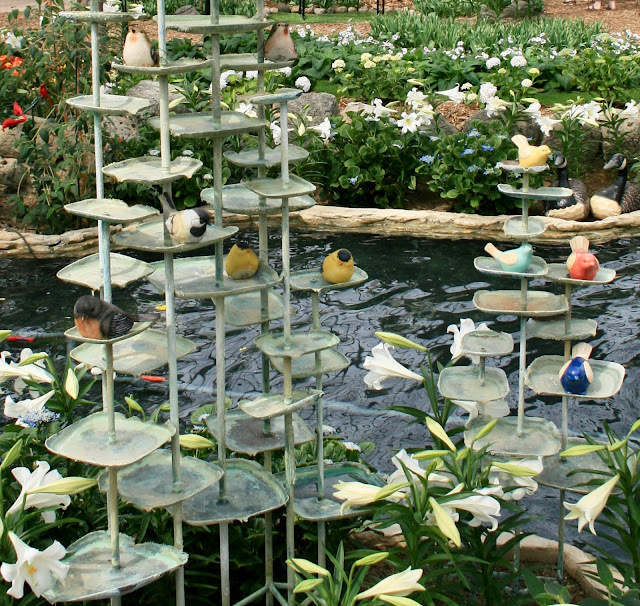 Since we were there on Easter Sunday, they had a bird/spring flower theme which included lots of Easter Lillies. Although they had a few live birds in the other domes, this display included primarily faux birds and animals. But, it was still soooo cute! And I know if I had children with me, we would have had a blast finding all the birds and animals together. 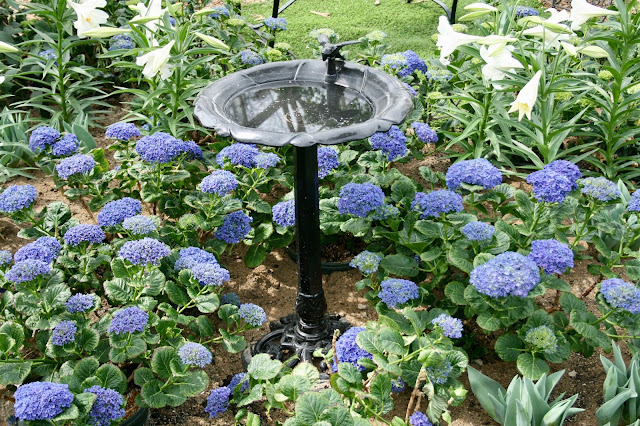 Here are some songbirds on a fountain, but they also had them hidden in trees, in nests, birdhouses, etc. Easter lilies were the star of the garden this Easter Sunday. There were many items placed in this garden to attract birds, such as this bird bath. I also saw birdhouses and bird feeders. Here are some cute goldfinches hanging out in a tree. See the thistle feeder and bird house too? The spring flowers were absolutely gorgeous. But it is always a treat to see flowers in spring after a long winter. 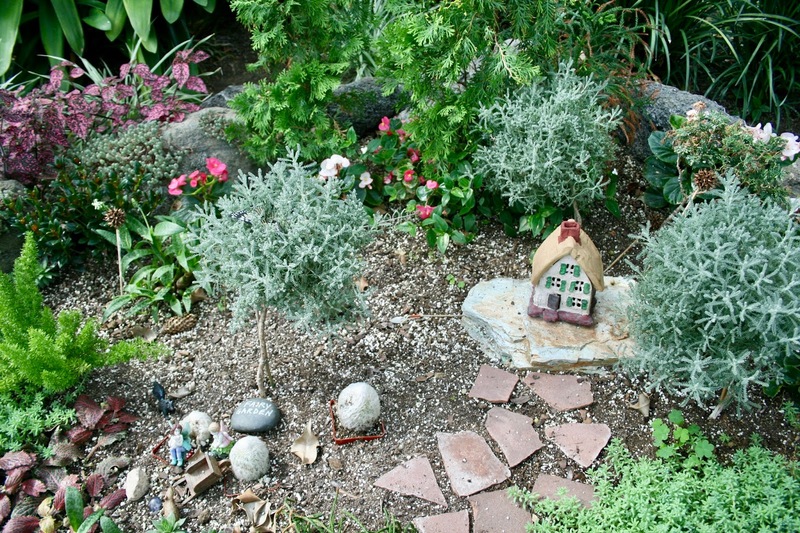 I loved this cute Fairy Garden. I can't wait to make a Fairy Garden with my new granddaughter Alethea! 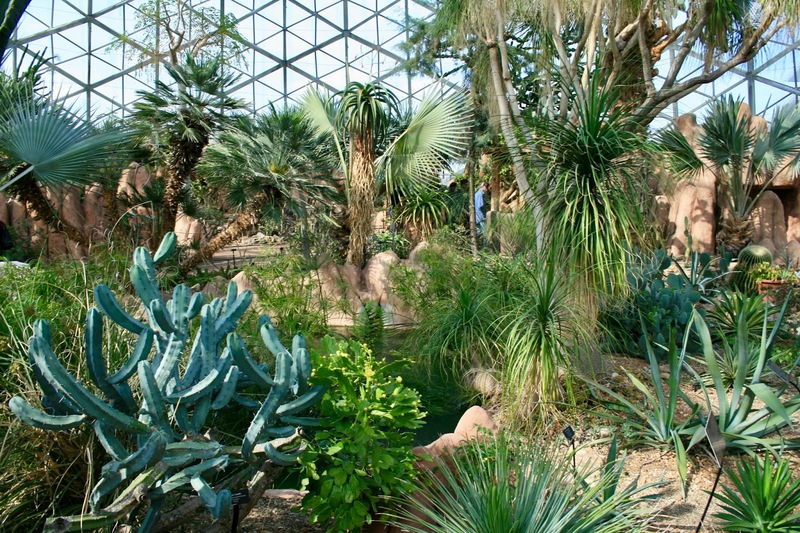 The Desert Dome is such a cool place. I love the colors and all the texture. I never knew until we traveled out west how much I enjoy desert landscapes. It could be because I live in northern central Wisconsin where I am surrounded by forests of pine trees. I just find the desert so beautiful. I love all the color of the various rocks and all the interesting plants that grow there. The Desert Dome Collections are grouped by geographic region: Africa, Madagascar, South America, and North America. 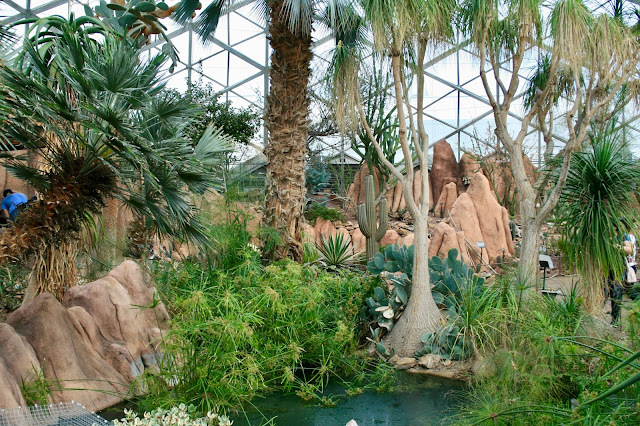 We did find live birds in both the Desert Dome and the Tropical Dome. It was fun to spot them! 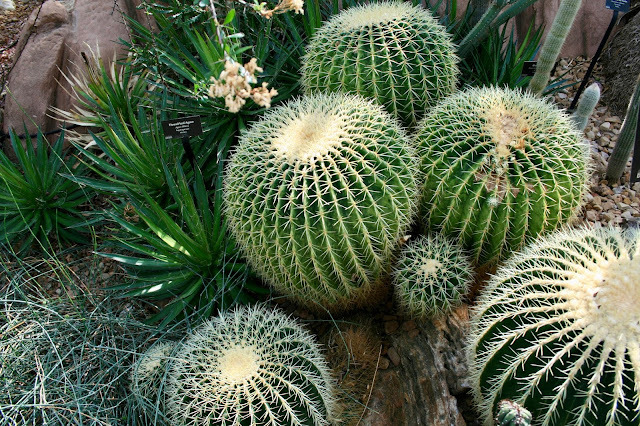 The Desert Dome is filled with massive desert cacti and trees to miniature cacti and succulents you can grow in a container. Succulents are really trending in home decor right now. They had succulents for sale at the gift shop. I bought a really pretty one! Desert Plants take all different shapes and have unique aspects to help them survive in the desert heat and lack of water. 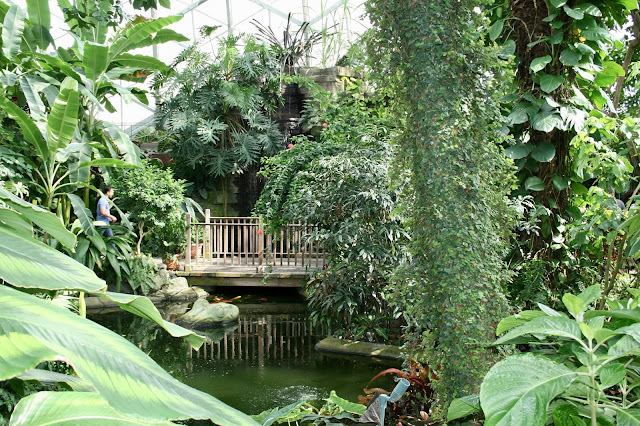 There are 1,200 species of tropical plants and some tropical birds in the Tropical Dome. 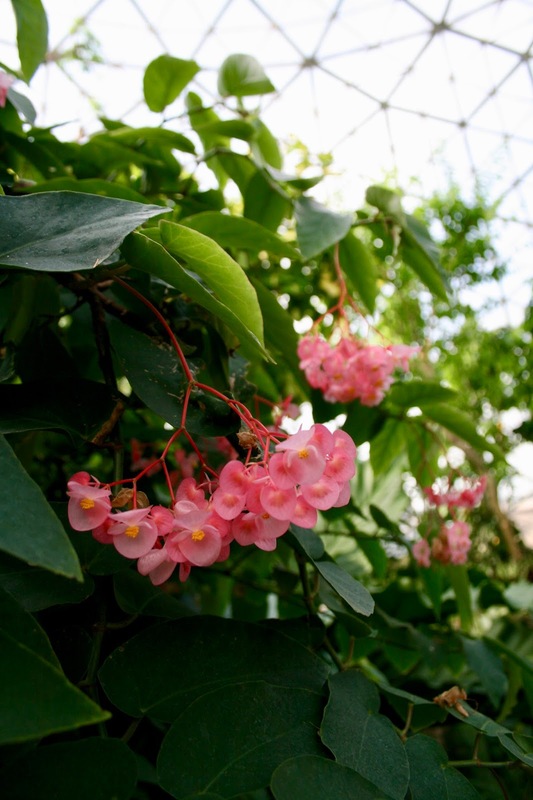 Here you may notice some houseplants you may have growing in your house, along with some pretty recognizable flowers! There are pretty bridges, a waterfall, and a lovely pond filled with koi in this dome. This is one of my favorite houseplants. I love the foliage! 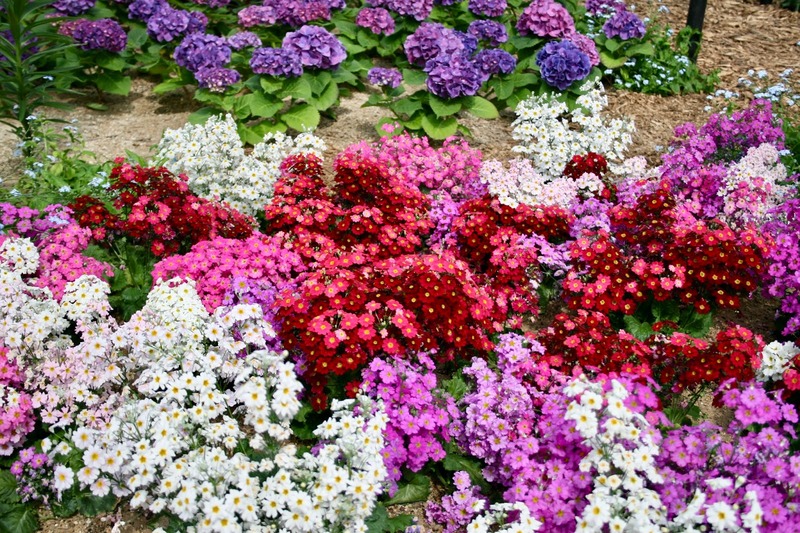 Many plants that we grow as annuals in northern states are grown as tropical plants in warmer states/countries. I love this Dragon Wing Begonia! I can't even imagine being able to enjoy these beauties all year long! Even though there are not that many flowers in the Tropical Dome, there is still so much color and interest with the foliage! Isn't this enormous chartreuse elephant plant leaf just stunning? Another gorgeous houseplant. 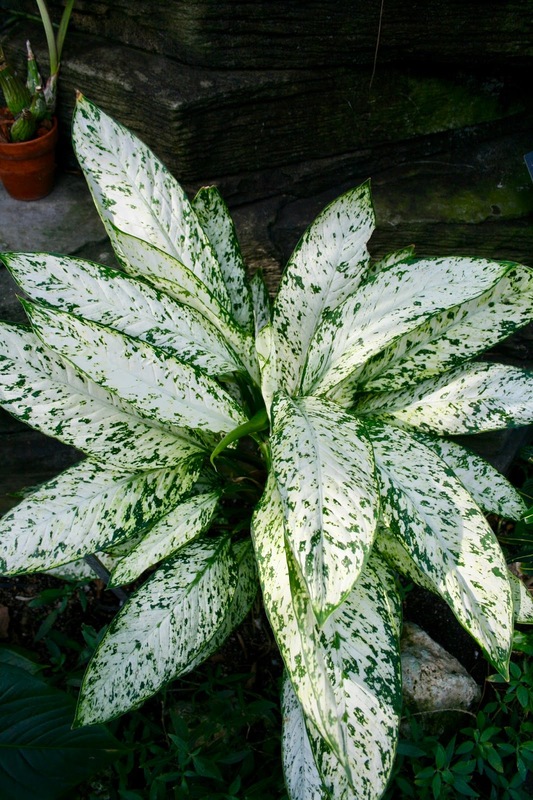 I have one of these plants...they are so easy to grow and take care of! Some hungry koi rose to the surface when we crossed the bridge. The bridge is definitely one of the highlights of this dome for the pretty view it offers! A double red hibiscus flower. Here is a view of the bridge with the waterfall in the background as seen from the observation deck on the other side of the dome. 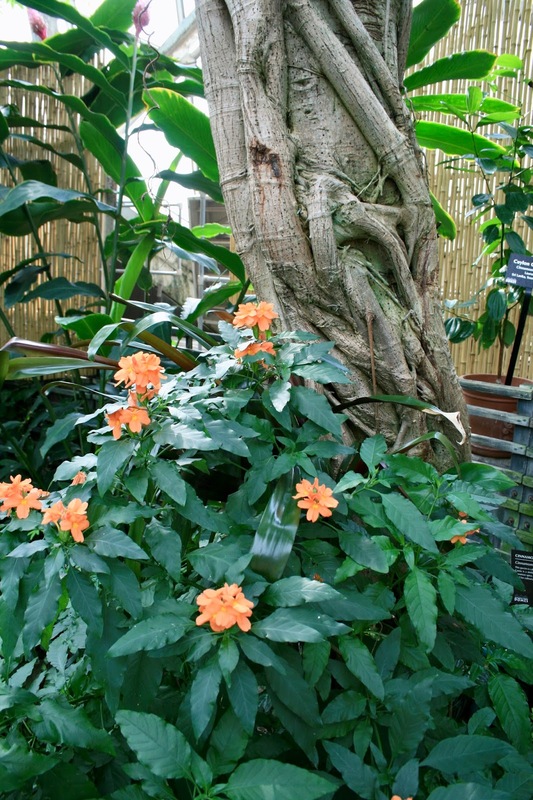 The Tropical Dome has many plants that provide food or beverages for human consumption, like this banana tree shown below. Isn't the fruit amazing. They also have chocolate, coffee, grapefruit, guava, macadamia nuts and star fruit plants plus some spice plants. I loved walking the Tropical Domes and spotting a gorgeous flower amongst all the green! 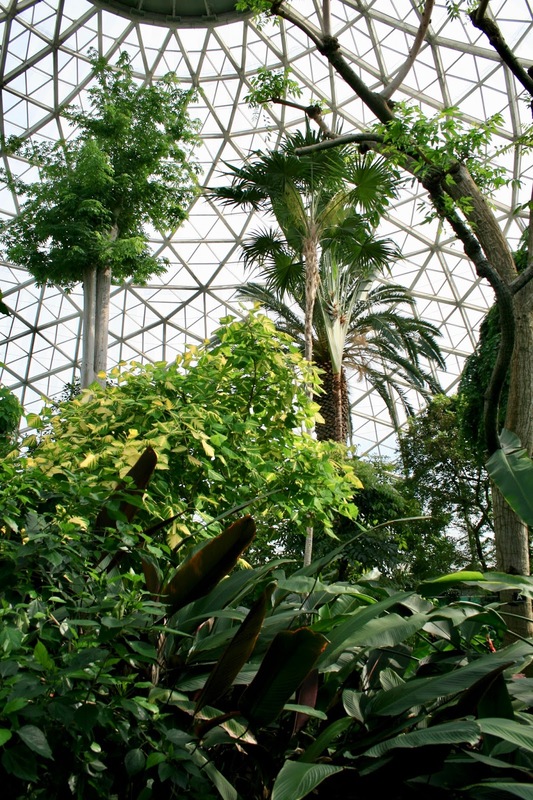 The Milwaukee Domes are open Monday-Friday 9 -5 and Saturdays, Sundays, and Major Holidays from 9 - 4. The cost is $7.00 for adults, $5.00 for ages 6-17, and children under 5 are free. Milwaukee County residents can also visit the Domes for free on Mondays between 9-12, and there are also reduced admission costs for Milwaukee County Senior Citizens and persons with disabilities. You have the best adventures Amy!! I had never heard of this but it's fascinating!! Thanks Jodie, The Milwaukee Domes are very unique! You've been visiting so many wonderful places Amy! I just love these blooms. Thanks Brooke! We try to to vary our trips and keep them interesting! Aww, thank you for reminding me of several happy memories with this post. I saw the domes in an Instagram photo you posted. Glad to know more about them. 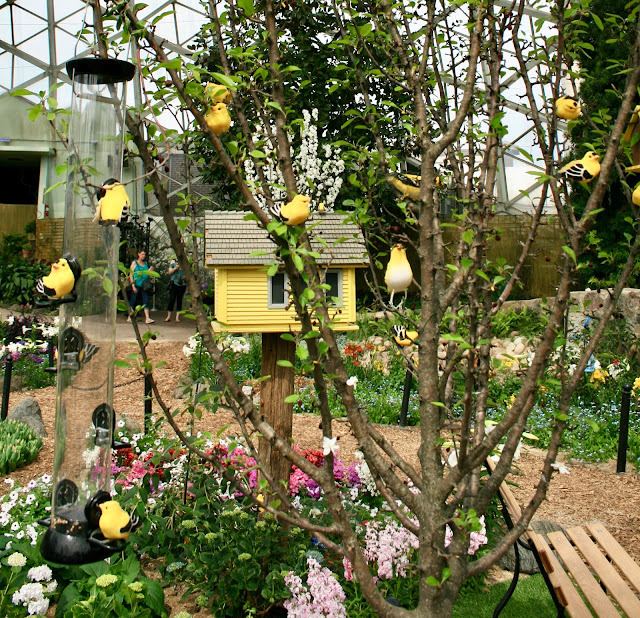 What a wonderful experience to wander through them...kind of like horticulture globetrotting. I remember the geodesic dome at Expo 67 in Montreal. It housed an exhibit of dolls, I think, and the song "It's a Small World After All" played as we rode through the dome on a rail car. So long ago. Thanks Leslie! I do love how one can get a taste of different climates by visiting conservatories. These are so incredible- I love all your detailed photos- makes me want to go back and explore them again! Thanks Greta. I grew up in Milwaukee and have been to the Domes numerous times, but it's always new and fun every time I go!